Dungannon (from Irish: Dún Geanainn, meaning "Geanann's stronghold") is a town in County Tyrone, Northern Ireland. It is the third-largest town in the county (after Omagh and Strabane) and had a population of 15,889 at the 2011 Census. 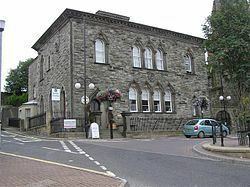 The Dungannon and South Tyrone Borough Council had its headquarters in the town, though since 2015 it has been covered by Mid-Ulster District Council. For centuries, it was the 'capital' of the O'Neill dynasty, who dominated most of Ulster and built a castle on the hill. 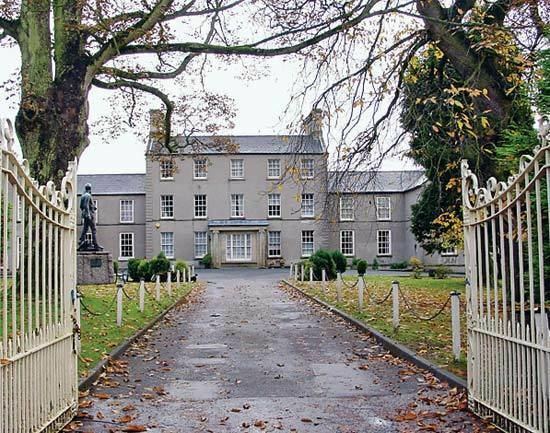 After the O'Neills' defeat in the Nine Years' War, the English founded a plantation town on the site, which grew into what is now Dungannon. Dungannon has won Ulster in Bloom's Best Kept Town Award five times. It currently has the highest percentage of immigrants of any town in Northern Ireland. For centuries, Dungannon's fortunes were closely tied to that of the O'Neill dynasty which ruled a large part of Ulster until the 17th century. Dungannon was the clan's main stronghold. The traditional site of inauguration for 'The O'Neill', was Tullyhogue Fort, an Iron Age mound some four miles northeast of Dungannon. The clan O'Hagan were the stewards of this site for the O'Neills. In the 14th century the O'Neills built a castle on what is today known as Castle Hill; the location was ideal for a fort as it was one of the highest points in the area, and dominated the surrounding countryside with the ability to see seven counties depending on the weather. This castle was burned in 1602 by Hugh O'Neill, 2nd Earl of Tyrone as Crown forces under Lord Mountjoy closed in on the Gaelic lords towards the end of the Nine Years' War. In 1607, ninety-nine Irish chieftains and their followers, including Hugh O'Neill, set sail from Rathmullan, bound for the continent. What followed became known as the Plantation of Ulster and the town and its castle were granted to Sir Arthur Chichester, one of the architects of the plantation. In 1641 after seizing the town in the opening stages of the Irish Rebellion, Sir Phelim O'Neill issued the Proclamation of Dungannon in which the rebels set out their aims and proclaimed their loyalty to Charles I. O'Neill hinted that they had been ordered to rise by the King and later produced a commission which he claimed Charles had issued to him. The castle was partially excavated in October 2007, by the Channel 4 archaeological show Time Team, uncovering part of the moat and walls of the castle. In 1973, the town became the seat of the new district of the Dungannon and South Tyrone Borough Council. In 1782, the town was the location where the independence of the Irish Parliament was declared by members of the Protestant Ascendancy who controlled the parliament at the time. In the late 1960s, Northern Ireland was plunged into an ethno-political conflict known as the Troubles. During the conflict almost 50 people were killed in and around Dungannon, and there were many bombings in the town. The deadliest attack in the town was on 17 March 1976, when a loyalist car bomb attack on the Hillcrest Bar killed four Catholic civilians. On 24 August 1968, the Campaign for Social Justice (CSJ), the Northern Ireland Civil Rights Association (NICRA), and other groups, held Northern Ireland's first civil rights march from Coalisland to Dungannon. The rally was officially banned, but took place and passed off without incident. The publicity surrounding the march encouraged other groups to form branches of NICRA. Dungannon is classed as a large town and had a population of 15,889 at the time of the 2011 census. It has a larger share of immigrants than any town in Northern Ireland. Immigrants make up about 11% of its population; more than twice the average. Between 2001 and 2011, the number of immigrants in Dungannon increased tenfold; the biggest increase of any town. Many came to work in the local food processing plants. There have been several attacks on immigrants and clashes between rival groups of immigrants in the area. An interesting feature of the town is the former police barracks at the top right-hand corner of the market square which is quite unlike any other barracks of a similar vintage in Ireland. A popular but apocryphal story relates that the unusual design of this building is due to a mix-up with the plans in Dublin which meant Dungannon got a station designed for the Nepal and they got a standard Irish barracks, complete with a traditional Irish fireplace. Dungannon Park is a seventy-acre oasis centred round an idyllic still-water lake, with miles of pathways and views of the surrounding townland. Dungannon is in the southeast of County Tyrone, within the historic barony of Dungannon Middle and the civil parish of Drumglass. The town grew up around a hill, known locally as Castle Hill. There are three small lakes on the southern edge of town, the biggest of which is Black Lough. There are also two parks in the eastern part of town: Dungannon Park and Windmill Park. Surrounding settlements include Moygashel (a village at the southern edge of Dungannon), Coalisland (to the northeast), Donaghmore (to the northwest) and Castlecaulfield (to the west). The economy of Dungannon has evolved from agriculture and linen production dominating the landscape to food and light engineering being the main industrial employers. A well-known crystal glass producer was Tyrone Crystal. Dungannon is linked to the M1 motorway, which runs from the southeast of the town to Belfast. There is an Ulsterbus town bus service that runs daily that serves the town's suburbs. Usually operated by the Optare Solo buses. The nearest railway station is Portadown on Northern Ireland Railways. The Irish gauge 1,600 mm (5 ft 3 in) Portadown, Dungannon and Omagh Junction Railway (PD&O) linked the town with Portadown from 1858 and Omagh from 1861, completing the Portadown – Derry railway route that came to be informally called "The Derry Road". The Great Northern Railway took over the PD&O in 1876 and built a branch line from Dungannon to Cookstown in 1879. The GNR Board cut back the Cookstown branch to Coalisland in 1956 and the Ulster Transport Authority (UTA) closed the branch altogether in 1959. In accordance with the Benson Report submitted to the Government of Northern Ireland 1963 the UTA closed the "Derry Road" through Dungannon in 1965. The site of Dungannon station is now a public park and the former trackbed through the station is now a greenway. 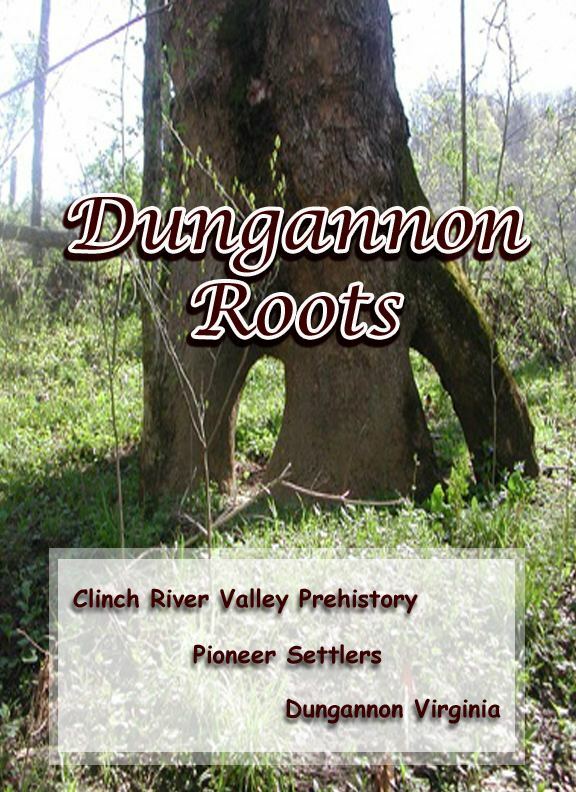 Dungannon Cricket Club is the oldest sporting club in Dungannon dating back to at least 1865. The club played continuously through to 1914 with a break from 1901-04 when Lord Ranfurly was Governor of New Zealand and there was no ground available until his return. The club became affiliated to the NCU in 1913 and played in the Junior Cup in 1913 and 1914 until the club was discontinued during the Great War. Attempts were made to reestablish the club after the war and this was done in 1929 and survived until 1933 when Lord Ranfurly died to again leave the club without a ground. Cricket was kept alive by the Royal School, Bankers and the RUC until 1939 when the Second World War broke out. The club was reformed in 1948 mainly due to the efforts of Eddie Hodgett and the NCU leagues in 1952 and continues to do so to the present time. The club has never quite reached senior cricket as it has limited resources and relies on the District Council for a ground. The club has played on at least five different locations during its existence. Home games are played at Dungannon Park. Dungannon Swifts F.C. is the town's local team, which plays in the IFA Premiership, and is Tyrone's only representative in the league, following Omagh Town's collapse. The club represented Northern Ireland in European competition in 2005–06 and 2006-06. The town has also achieved much success in Gaelic games, Gaelic football and hurling. Dungannon has produced many footballers, especially for the Tyrone County Team, who won the All-Ireland Gaelic Football Championship in 2003, 2005 and 2008. The local boys' Gaelic football club is Dungannon Thomas Clarkes (Thomáis Uí Chléirigh Dún Geanainn) while the ladies' football team is Aodh a Ruadh. The local hurling club is Eoghan Ruadh Dungannon and the Camogie club is Naomh Treasa. PGA tour golfer Darren Clarke grew up in Dungannon, and was a member of Dungannon Golf Club. The club is one of the oldest 18-hole courses in Northern Ireland, having been founded in 1890. The local Hare Coursing Club has been in existence since the 1920s but the sport was popular in the area long before the formation of the club. With hare coursing currently banned in Northern Ireland the Dungannon club organises meetings in the Republic of Ireland. Greyhound racing was a popular sport in Dungannon from the 1940s until the Oaks Park Greyhound Stadium finally closed in January 2003. Large crowds attended the weekly meetings on Tuesdays, Wednesdays and Saturdays with visitors travelling from as far away as Dublin to enjoy the races. Dungannon was one of the first towns in Ireland to form a rugby club. Dungannon Rugby FC's most recent success was sharing the Ulster Senior League title with Ballymena. They were also the first Ulster club to win the All Ireland League. The rugby club was founded in 1873 and was a founder member of the IRFU. Despite being a rugby union club since inception its official title is Dungannon Football Club.